Anna has got a young sister (Rose) and a young brother (Richard) at Bethany. They originally lived in Mwanza with both parents. Their lives were miserable because both of their parents were victims of HIV, and couldn’t meet their basic needs as they both needed a lot of looking after. Both parents died of HIV I in 2010. They were left to live with their grandmother who is also HIV positive and so is ill from time to time. The children did not have their basic needs, went hungry for many days, stopped going to school for about six months as they started looking after their ill grandmother. It was when the neighbour report to the village leader who then reported to the social welfare office about the children. On the 6th January 2014, we received a letter from Mara Regional social welfare officer to ask if we had vacancy for the children. It was sad that they were all above the age we can take but after an investigation of their circumstance, we felt that Bethany was the only solution for these children. 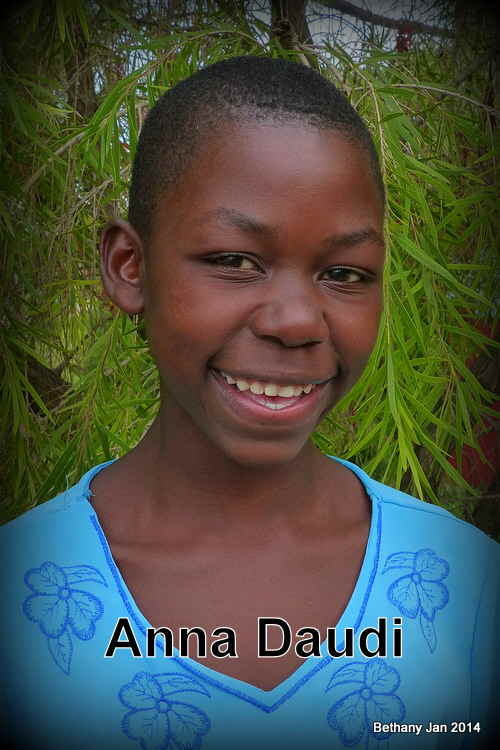 Anna is very happy being at Bethany; she works hard both at home and at school in order to fulfill her dreams of becoming a teacher.